I have noticed lately that more and more couples have worked on personalizing their weddings. They make sure that each and every detail of their wedding should be in line with the color motif or the theme of their wedding. There is just this implied need to make everything perfect and organized for these modern couples. I guess this obsession shown by couples to personalize their wedding is due to the latest trend in documenting the wedding nowadays. What used to be a simple wedding photo before has now become quite complicated with the way weddings are documented lately, by way of the same day editing of the wedding video, prenuptial photos, and more. Going back, this particularity to detail, of course, is not limited to the venue, flowers, and other decor, but also to the clothes worn during the celebration. 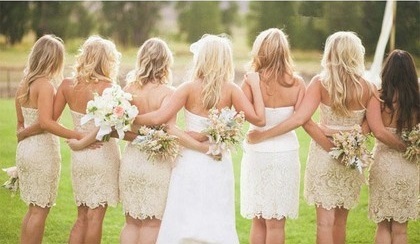 Bridesmaids’ dresses have indeed become better and trendier as time passes by. 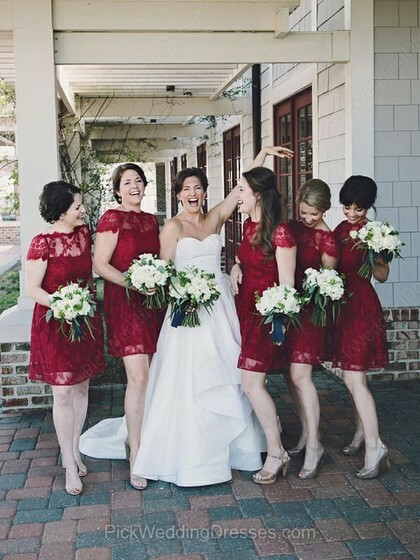 More couples have definitely decided to come up with the same color and design for their bridesmaids to have that uniform look, by having a designer made them or by buying them from a local boutique, than have them pick out dresses of a particular color which eventually do not really match one another. While purchasing designer dresses and buying from local shops seem to be plausible options, another option available for couples is to have their bridesmaid dresses made by an online retailer. Online shopping for bridesmaid dresses is definitely one of the best options for a couple, especially those who are on a limited time and budget. With just a click of your mouse, you could pick, order, and pay for your dream bridesmaid dresses without hassle. No need to drive to and from the designers’ shop or boutique. All you have to do then is to wait for the items to arrive at the time specified during the placement of your order. Another perk of shopping online is the number of choices that you have. There are currently tons of online retailers that offer bridesmaid dresses and one of them is Pickweddingdresses. Bridesmaid dresses at Pickweddingdresses are definitely affordable and not as expensive as designer bridesmaid dresses. You do not need to sacrifice quality and style because these dresses are available on a made to order basis only and are available in a huge selection of colors to match your wedding theme and motif. 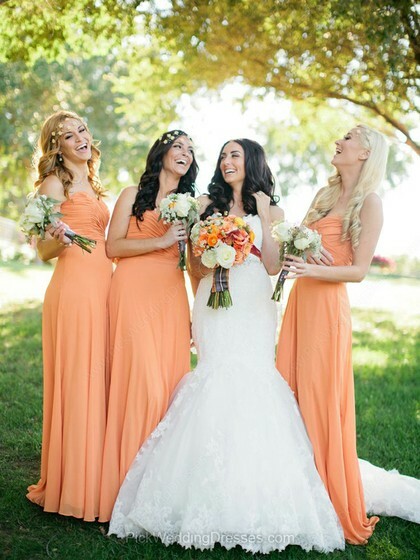 Visit Pickweddingdresses to see their entire bridesmaid dresses collection!